Architects are pushing forward with the design of a new passenger terminal at Missoula International Airport, aiming for a facility that strikes a balance between economy and poetry. 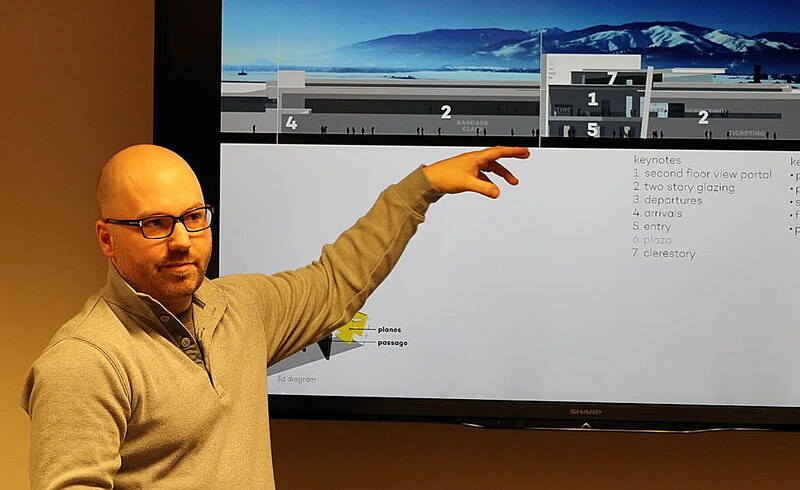 Shaun Shea with Morrison-Maierle and Brandon Prinzing with A&E Architects offered the Missoula Airport Authority an update on the current design this week. 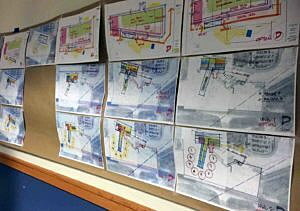 They plan to return in March with two potential schematics, including the layout and exterior design of the new passenger terminal. The Airport Authority approved an update to the Terminal Area Master Plan in October, clearing the way for engineers to design a modern facility that’s set for construction in 2018. The plan includes a terminal offering eight gates designed to accommodate larger jets and more passengers. Security would likely expand to four lanes, and baggage claim would nearly triple in size. While the budget has yet to be finalized, the project will be funded through airport reserves and federal grants. Construction would likely start in June of 2018, with the first phase opening to passengers in 2020. The last phase would be completed in 2021. Prinzing said the design will follow a number of principles that include intuitive way-finding and a user-friendly and environmentally responsible design. The new terminal would be easily expandable as the airport grows, and it aims to reflect the local culture. As envisioned, the project will take place in phases over several years, starting with the demolition of the terminal’s western wing. The first portion of the new building will be built in its place while the existing terminal remains operational. The process would then reverse as the other half of the new terminal is constructed. The end result would create a new facility that spans roughly 175,000 square feet – up from the current 130,000. Modern travel amenities will be incorporated into the building, along with other features under consideration. 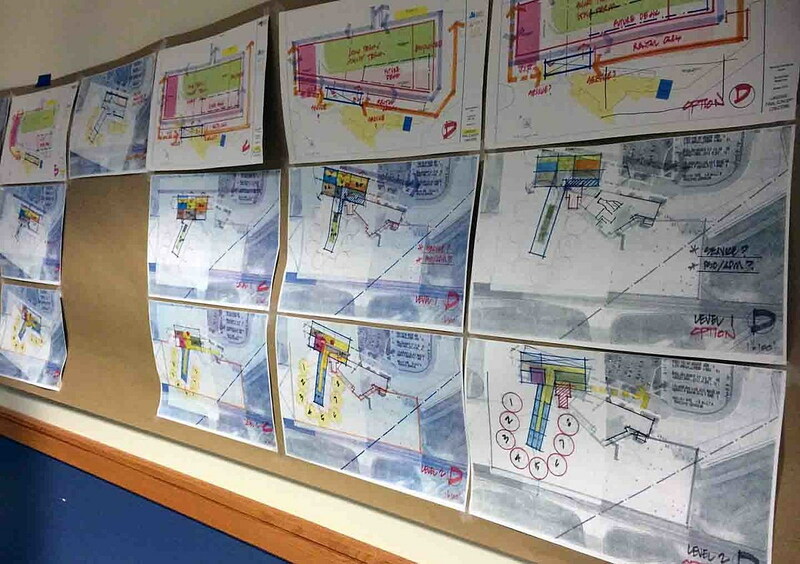 The design process has been underway for several months, dating back to last year when the airport began moving toward a new passenger terminal. Growth at the airport has accelerated faster than airport officials envisioned. The airport handled more than 758,000 passengers last year, an increase of 8.6 percent over 2015, or nearly 60,000 additional passengers. Over the past 20 years, the airport has experienced a 98 percent increase in passenger traffic. Back in 1996, the airport handled roughly 383,000 passengers. The current facility represents a patchwork of additions made over the years and is poorly suited to handle today’s passenger counts. While the design team is aiming for a user-friendly facility, it also wants the end result to be memorable.